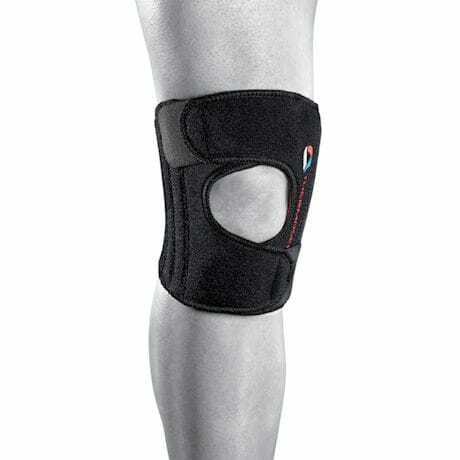 Thermoskin® Sport Knee Stabilizer combines customizable support, compression and heat therapy into one simple wrap. Triple layer Trioxin® lining soothes your knee with heat and compression, while wicking away moisture. 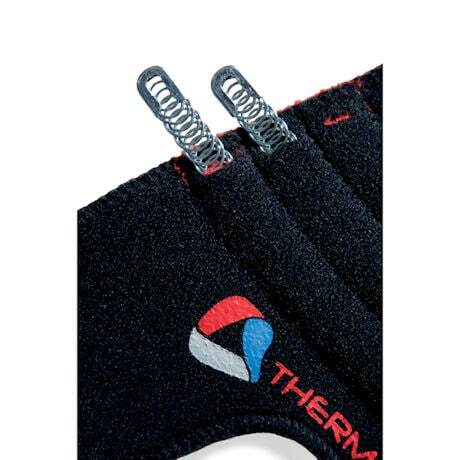 Thermoskin® also features four removable metal stabilizers, which can be placed in six pockets around the wrap for targeted support. Fully adjustable straps provide a perfect fit. See size chart. Imported.